Have you ever wanted to know how to go foraging for wild mushrooms, or cook a beautifully wild and rustic dish with mushrooms? 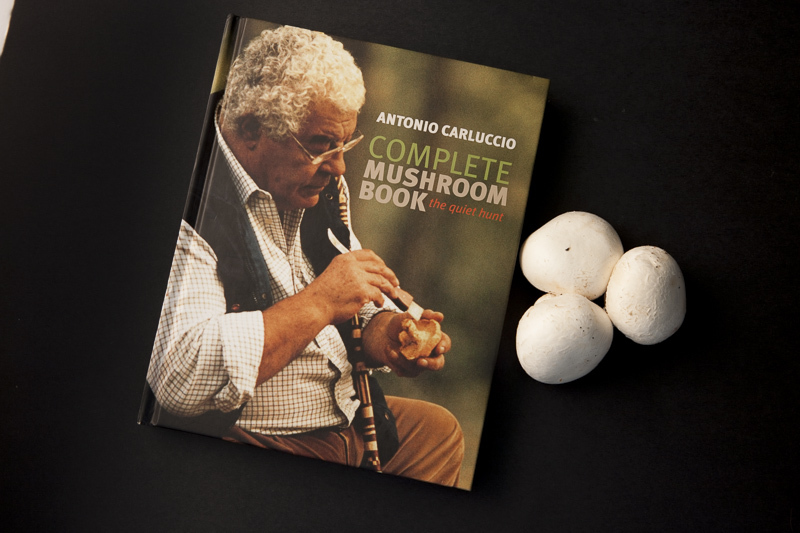 Antonio Carluccio, “the Godfather of Italian Gastronomy”, has written the perfect book for you. I recently added this beautifully illustrated book to my collection, and I’m glad I did. This book acts as a combined field guide identifying and showcasing nearly 100 wild and cultivated mushroom varieties, as well as being a cookbook with over 100 recipes featuring the spoils of “the quiet hunt”. The book contains clear descriptions and illustrations of the various mushrooms, allowing the “hunter” to easily distinguish between edible and poisonous varieties. The only downside to the book is that most of the varieties found within its’ pages are European, although the recipes themselves cover a much broader range of flavours. I really enjoyed the simplicity of the dishes, like “the truffle hunter’s breakfast” and “wild mushroom crustini”. This last recipe was described as, “extremely popular because of its versatility”. Like most of the recipes in this book, this one showcases the flavours of this particular mushroom and balances them quite elegantly. There is also some more traditional recipes such as Cotechino with lentils. Cotechino is a cooking sausage made of pure pork, including the ear and cheek, and is served with Lentils and Fungi. This dish is one of the most popular Italian dishes in autumn and winter, with the fungi making this dish very appetising and filling. Whilst perhaps not an “everyday” cookbook, this is one book I shall keep going back to my shelf to read; to refresh myself with the wide range of mushroom varieties, and to catch up with the “Godfather”.